A 9,000 square foot vacation house for an extended family on a ranch on the Frio River in Concan, is conceived of as a compound organized around a formal court. 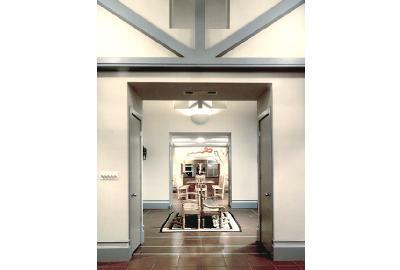 Entrance is through a gate house which serves as a utility building with living quarters above. Individual identity is given to each structure, oriented toward a particular view of the river and landscape beyond.